On the FS-iA6 receiver, there is only one slot available for ailerons. I have two servos. One for each aileron. So, Im confused with how this is supposed to work. This is my first scratch build. I don't have the radio or know anything about the FlySky stuffs, but one channel will go into the aileron port and another into an auxilary port. From there you can set up the dual ailerons through the transmitter (check the manual, it should say how to do this and what channel to plug the second aileron servo into). But if you aren't looking for advanced capabilities like flaperons or subtrims, then just plug the 2 servos into a y-harness, and plug the other end of the Y into the aileron port. Thanks for the quick response and welcome. Ill try the aux port, first. I dont have a y connection. Ill have to get some of those. If you have some servo extensions you can fabricate a "Y" harness. Very simple wire job. If I use a y harness, will I still be able to do rolls? It seems like the ailerons would turn into elevators; because they are getting the same signal, right? Yes you can do rolls. 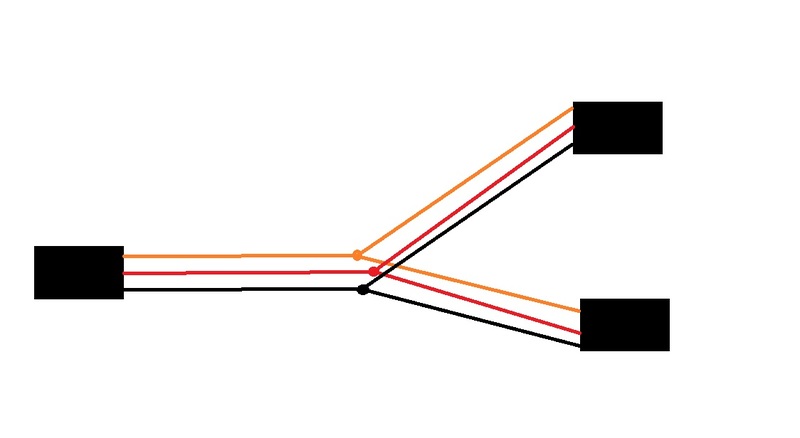 You mount the servos so that they are moving opposite of each other. You mount the arms to the outside and leads to the front or back depending on your set up and they will move opposite directions. 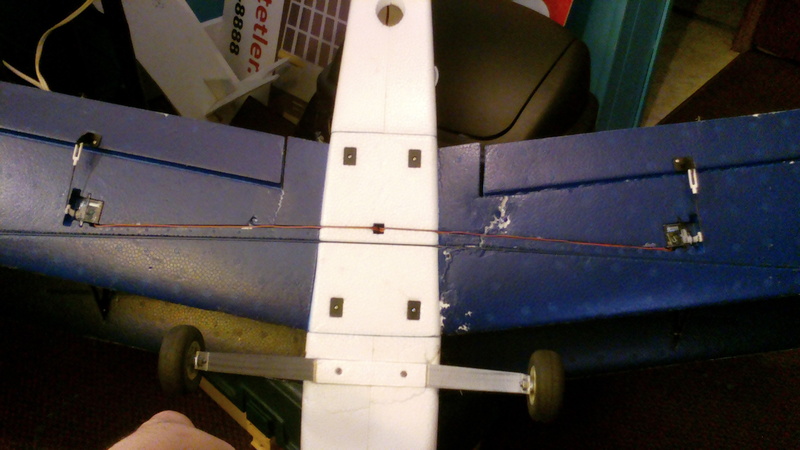 Here is my bi-plane servos mounted in the wing for reference. Vipertech is correct but to clarify I will say that YES both aileron servos will rotate in the same direction but they are mounted differently so that the output arm of the servos move in opposite directions.